Kentucky has turned their focus to three frontcourt targets to close out their 2019 recruiting class: Isaiah Stewart, Jaden McDaniels, and Matthew Hurt. 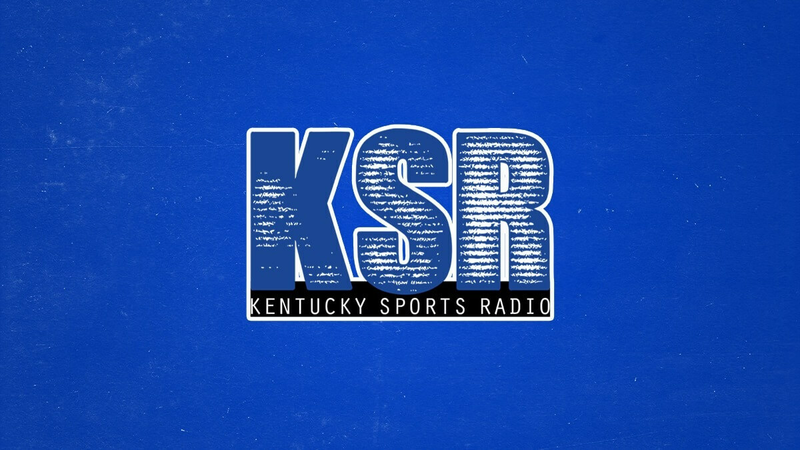 All three players have Kentucky listed in the final cuts of their recruitments, with each having various expected timelines for a decision and significantly different skillsets they bring to the table. Stewart maintains a bully-ball style of play, while at 6-foot-11, McDaniels is considered one of the most versatile players in the nation. The former is expected to make a decision over the next month or so, while the latter will likely wait until the regular signing period in April. As for Hurt, the 6-foot-9 forward out of Rochester, MN is considered one of the most gifted scorers in all of high school basketball, regardless of class. And he proved it once again last night. The John Marshall HS product exploded for 44 points, 23 rebounds, and four assists in his team’s 84-48 victory over Century High School. He has helped lead the Rockets to six victories over their last seven games. HIGHLIGHTS: @JMRocketsBBB wins for the 6th time in their last 7 games, they beat Century 84-48. He doesn’t have a flashy game, but Hurt’s ability to score at all three levels has Kentucky coaches drooling over his style of play and the opportunity to shift their offense to an NBA-like system. With the opportunity for the Cats to sign both Hurt and McDaniels, Kentucky will have the opportunity to have five players on the court with the ability to hit shots from deep. Kentucky was the first school to receive an official visit the first week of December, followed by North Carolina on December 14. He will then officially visit Duke on January 19 for their game against Virginia, and then Kansas sometime in February. He’ll take one more official visit to either Villanova, Minnesota, and Memphis before making a final decision in April. As we mentioned in the first edition of Pilgrim’s Insider Notes this past Monday, Duke, UNC, Kansas, Villanova, Minnesota, and Kentucky are the six schools most analysts feel are the final schools in contention, but sources tell KSR there is mutual interest with the Memphis Tigers and they’ll have a solid shot when a decision is made. In fact, he has said in interviews that his recruitment is wide open, but Kentucky, Kansas, and Memphis are the schools I have been told have the most momentum leading into home stretch. We’ll have more on Hurt’s recruitment and what to expect in his upcoming visit to Duke on Monday’s Insider Notes. Come on down, Mr. Hurt. None of the 3 end up at UK. Since most of UK’s current roster will be back next year, Hurt and Herro would make a wonderful combo, don’t you think? I was suspicious. Watched a video or two. Kid legit. I am on board. Why does Calipari continue to recruit against Duke when he knows he’ll lose? Kentucky is seen as a has-been now. You’re probably right. We should just stop playing basketball and concede everything to Duke. They will get every recruit in the country and have 25 players on the team. They will also win every championship till the end of time. Thanks for your expertise – maybe Cal and the coaches can get out while they still have time since you’ve determined we’re a has-been. Either you’re one of the most pessimistic fans in the world or a troll. Hopefully the latter as UK doesn’t need piss poor fans like you supporting. To steal from another poster: congratulations bigblue98, you’re now the proud owner of a cahillscrossingnt! In other news. Texas A&M just beat Alabama. I think it is less about “haters out in full force” than frustration with our inability to attract the best of the best. We have been swinging and missing a lot lately. It reminds me of erstwhile Charlie Brown, attempting to kick a football only to have it pulled away at the last second. We get excited about a “Kentucky lean,” only to find that we were never under serious consideration. I would love to have Hurt at Kentucky, but recent history says that it is unlikely to happen. We need to get our recruiting mojo back or adapt to the new realty. Since the former is unlikely since Duke is scooping up elite recruits, we need to change our approach. We are still getting high quality recruits, but not the caliber who will dominate and make an immediate impact. So lets keep our players long enough for them to reach their college potential while providing continuity for the program. Otherwise, it will be the same broken record every year. The OAD system is a long shot that seldom pays off and has not been Kentucky’s friend in recent years. Memphis has sucked this year so what is the facination with Penny hardlycoach. going to duke. I mean look at him. Not true… Jeff Capel only had to look their direction. K will still get top talent, but not like he did with Capel on staff. Have you noticed that everything changed once Coach O left us? The assistants play a HUGE role in recruiting. Coach O leaving us was huge. We need a clone of him to get back where we were! Would love to get this kid, but he just SCREAMS Duke when you look at him……hope I’m wrong; we could really use him.